Marvel's Biggest Missed Opportunity - Honk if you love justice! It’s kind of shocking how quickly the tables have turned on the big two in the comics industry. Just a few years ago, while DC was languishing under the “New 52”, Marvel was having a creative boom. Whether it was Matt Fraction and David Aja bringing a fresh take to Hawkeye, their first headlining Muslim hero, or amazing women taking on important roles in their universe (Carol as Captain Marvel, Jane Foster Thor, SQUIRREL GIRL), things seemed to be looking up for the House of Ideas. 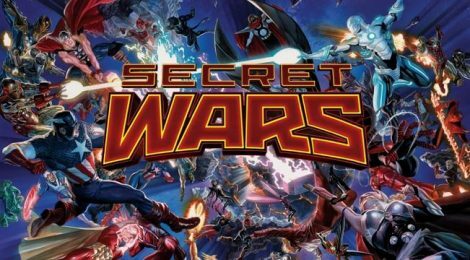 It all came to a satisfying crescendo with 2015’s Secret Wars event, which should’ve allowed Marvel to set up their new universe exactly as they saw fit. Somebody dead that you need alive? Go for it. It was a golden opportunity. So what went wrong? To me, it comes down to one thing, and that’s the constant stream of events. Crossover events can be fun, no doubt, but when you are ALWAYS preparing for the next big thing (and there’s 2 or 3 o f them every year), you’re not able to do any justice to the stories of the individual characters. A rebooted universe, renumbered and starting over to boot, should be all about bringing new readers into the fold. The guy reading Spider-Man for the past 10 years is in, you know? The grognards might roll their eyes at yet another renumbering, but as long as the book is still there and Spidey is still himself, they’ll stick around. A new number 1 issue should be a jumping-on point for the MCU fans, or kids, or whoever it is you want to start reading comics. But with the constant event cycle churning, you never give that new reader a chance to get to know the character before their life and story are interrupted. 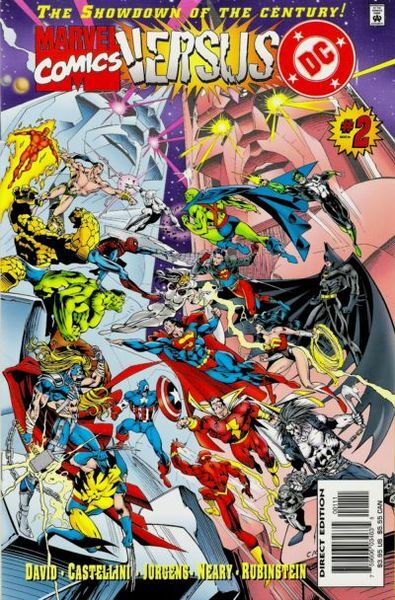 Post-Secret Wars, you rolled straight into Avengers: Standoff!, with Spider-Women and Apocalypse Wars disrupting some of the Spider-centric and X-Men books. That all led into Civil War II, a sequel event nobody asked for, which included some character assassination of Captain Marvel to boot. But you barely caught your breath before the Spider-books were disrupted by another event, a Clone Conspiracy revival. The X-Men and Inhumans fought, a bunch of monsters were fought, and then you may have heard about that whole Secret Empire thing. It’s exhausting just to read all of that. Imagine you are a new comics fan, how do you reconcile all of that? If fifteen to twenty books every month have some event banner on ’em, and put the character building on hold for some other story, why would you keep reading? I stopped reading comics as a teen mostly because of the event cycle. While Infinity Gauntlet was classic, I got annoyed at having things happening across multiple books that I couldn’t afford to buy (and that was when comic books were only $1-$1.50). Your choice was either to not know what was going on, or to stop buying. 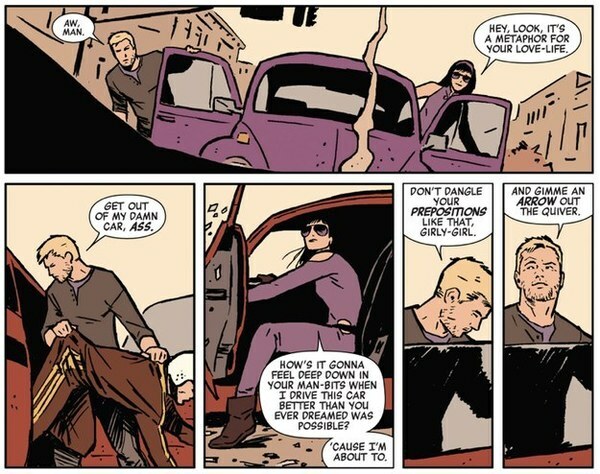 What brought me back to comics was my friends raving about the Matt Fraction/David Aja Hawkeye series, which did it’s own thing and built a deep, interesting story about Clint and Kate. It was funny, it was experimental, and I fell back in love with comics. 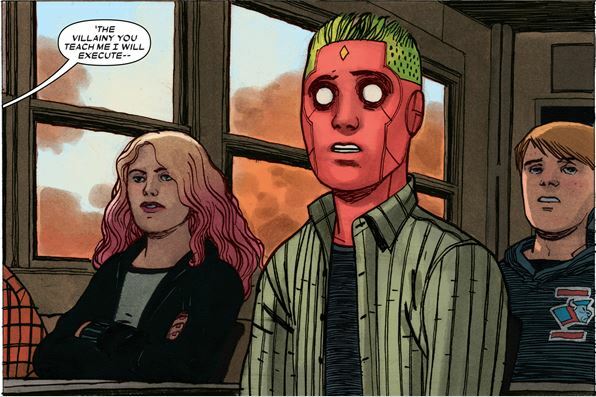 I branched out from there, but always with an eye to comics that had a solid running story of their own (Tom King’s The Vision series for example). The thing is, whenever I might start to get invested in a more mainline comic, it would get interrupted and I would throw up my hands and decide to trade-wait it, or at least see if the event as a whole that was pre-empting my normal programming was worth it. Spoiler alert: most of them haven’t been, so I’ve pretty much stopped buying Marvel comics. There are still some gems here and there (Black Widow, Ms. Marvel although she’s well and truly embedded in the event cycle now, one or two others) but most I’m content to wait for Marvel Unlimited to go on sale again to catch up. Pare down the lineup. Marvel released 94 different comics in March. There were seven different Avengers or related books if you count Great Lakes Avengers (and I’m not counting the Avengers cartoon tie-in book). Deadpool (or a Deadpool-adjacent character such as Deadpool the Duck) appears in at least 5 or 6 books. Doctor Strange was in 3! If you love a specific character, it’s ridiculous to try and follow them. Trim it down. Let the stories develop. I would put this to Marvel as a challenge – the next time the universe is rebooted (and you know they will), let all the comics go one full calendar year telling their own story. Let the characters shine and develop a following before smashing them against a planet- or universe-destroying entity. Retain your talent. Tom King. Tim Seeley. Sam Humphries. James Tynion IV. It seemed for a while in 2016 you couldn’t go a week without someone new signing an exclusive deal with DC, many of whom had been creating for both companies. Tom King and Sam Humphries were huge losses in particular. Marvel has their own stable of talent, but you can’t keep losing creators without it affecting quality. The same 6 people can’t write all your books, especially if you are releasing 100 a month. Count the trades and digital sales. I know they look at the sales, but they are still mostly concerned with monthly sales at your local shop. Sorry, but not everyone goes to the local comic shop for individual floppy issues. Especially since they aren’t particularly collectible in modern times. I much prefer sturdier trade paperbacks, as I share a lot of my comics with my kids. I also have quite a few in the digital format from various sources (Comixology/Amazon sales, Humble Bundles, etc.). Keep the diversity going. Any media is improved by having other viewpoints, so efforts need to be re-doubled to engage with and retain writers and artists of color, women, and LGBTQ+ creators. Look, as quickly as things went south for Marvel, they can turn it around. They’ve got a built in audience thanks to the MCU that would love to engage with them, and they only need the content to be there. This time next year, the roles could be reverse – or we could have a new golden age where Marvel and DC are both high quality at the same time. Imagine that!